We had a fabulous week staying in Quince Cottage. The cottage is in a perfect position for exploring the Roseland Peninsula with great local walks and easy access to the beach. The cottage was spotlessly clean and everything we needed was readily available. The bed was very comfortable and there were excellent views across the bay from the bedroom. The cottage was lovely and warm with the open fire being an added bonus. Thank you Caroline and Cornwall Cottages for your prompt and helpful responses to our questions. 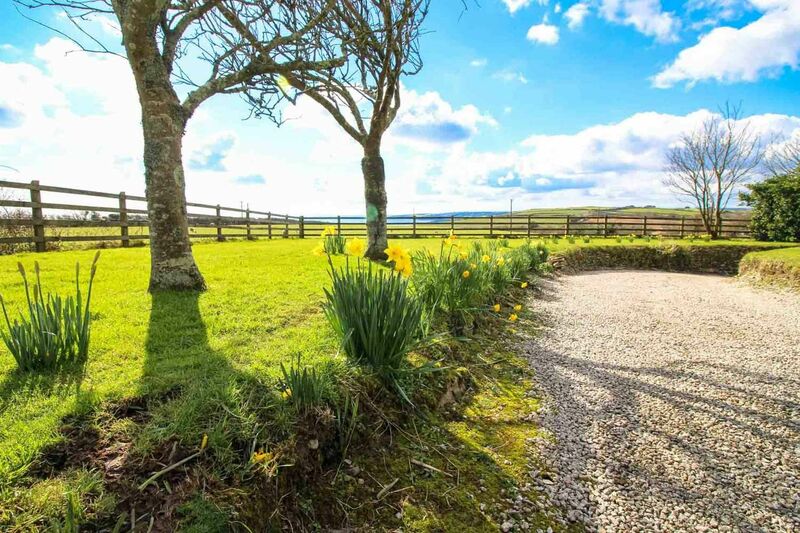 We will not hesitate to recommend Quince Cottage to friends and family in the future. Reply from Ian and Caroline We are so pleased when we have guests staying at Quince who appreciate the delights of staying there in the winter. It is a time of year in Cornwall that we love - particularly when we see the daffodils in flower at Ruan High Lanes over Christmas. It makes Spring seem not too far away! Lovely cottage in an excellent location. Very well equipped, we couldn't have asked for better. The view from the main bedroom (Blue room) was a delight! To wake seeing the sun come up, exposing the sea view was a lovely way to start the day. We had many lovely, but strenuous coastal walks directly from the cottage. I would highly recommend Quince Cottage, very homely, cosy and warm, a pleasure to return to after a long days walk. 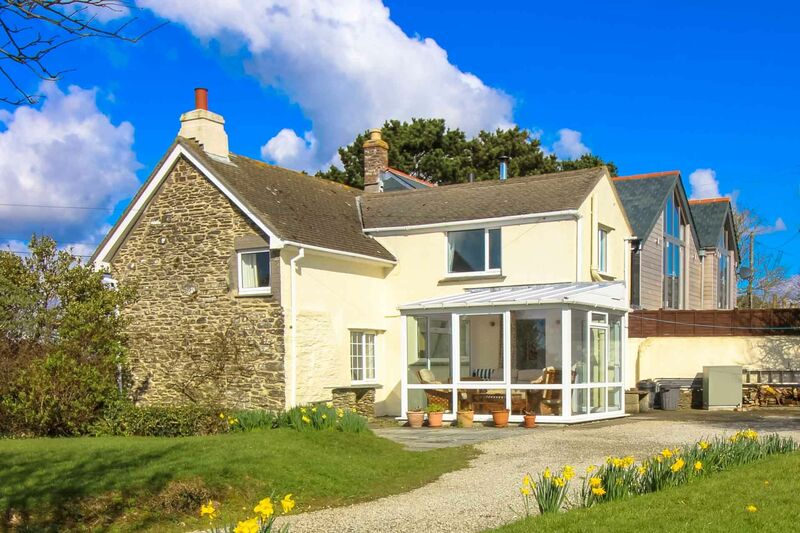 Lovely cottage with amazing views from conservatory and bedroom within close proximity to excellent beach. Good secure garden for the dog. 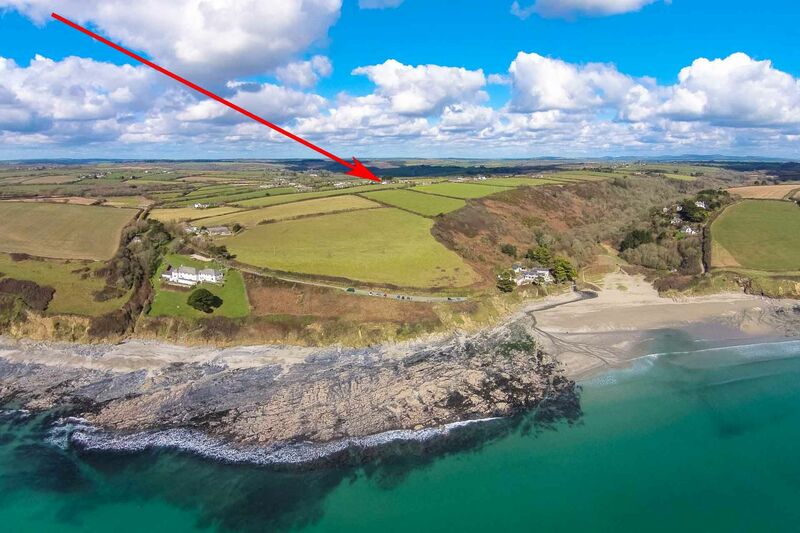 Close to St Mawes, Truro, Eden project etc. Good walks from cottage along coastal path and nice walk to nearby tearoom at the mill (well worth a visit). Would certainly stay again. Reply from Ian and Caroline Well behaved dogs are always welcome at Quince Cottage - they have been enjoying the cottage, the garden and all the lovely walks in The Roseland since my mother bought Quince Cottage 65 years ago - she was a great dog lover. Although I think that the owners appreciate the view more than the dogs! Our stay at the cottage was lovely. 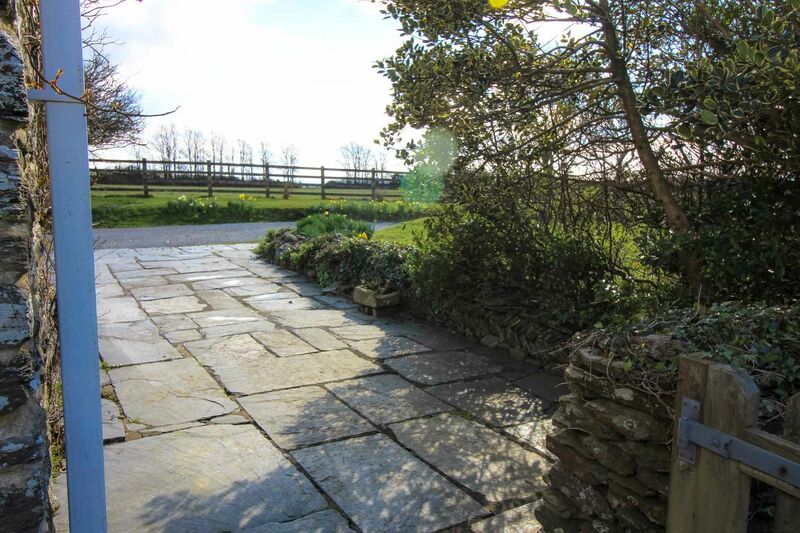 Private, peaceful, magnificent views, cosy and old world but with modern conveniences. 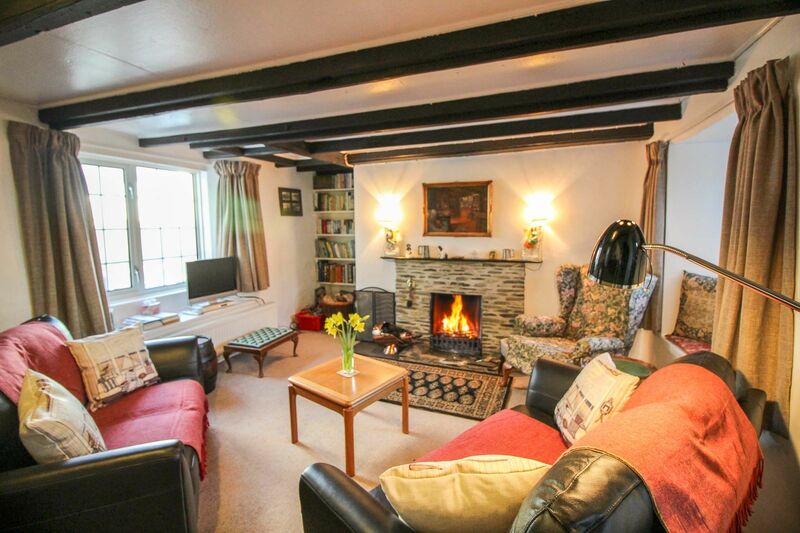 Prior to this visit we have stayed at Quince Cottage for over 35 years. First taking our young family, later the grandchildren and now enjoying it once more as 'oldies'! 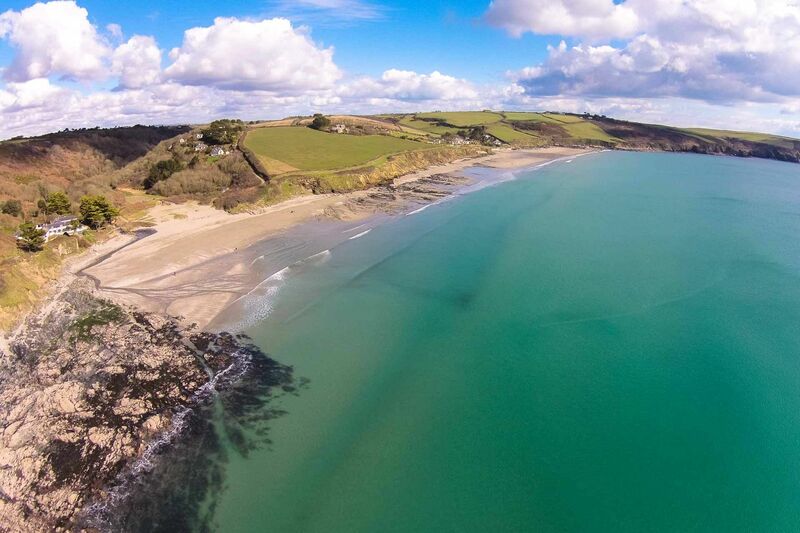 The Roseland cannot be beaten; for its beauty and so many places of interest to visit one is never bored even on rainy days! This was our second stay at Quince Cottage because we enjoyed staying there so much last year. 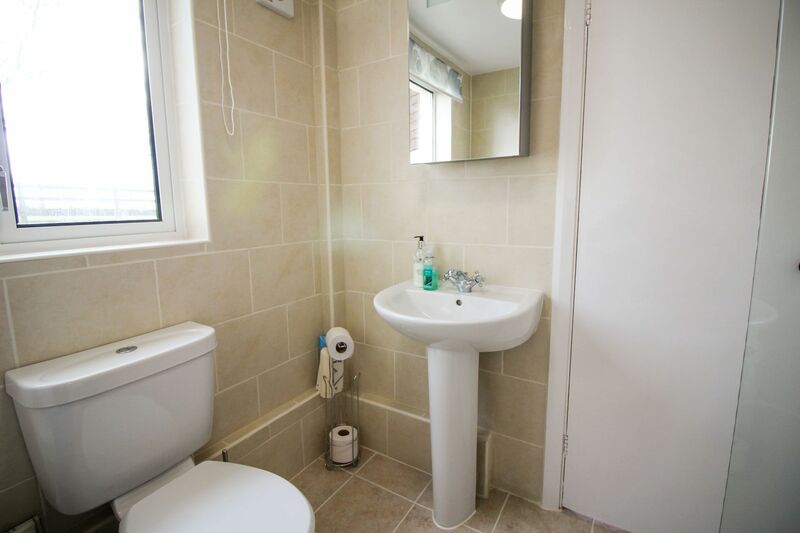 It is very clean, really well equipped with amazing views from the master bedroom and conservatory. Reply from Ian and Caroline We are always pleased when our guests enjoy staying at Quince so much that they want to return. Ideas and suggestions are always appreciated and following a previous review we now have a picnic bench for our guests to use at Quince Cottage. We had a wonderful stay in Quince Cottage. 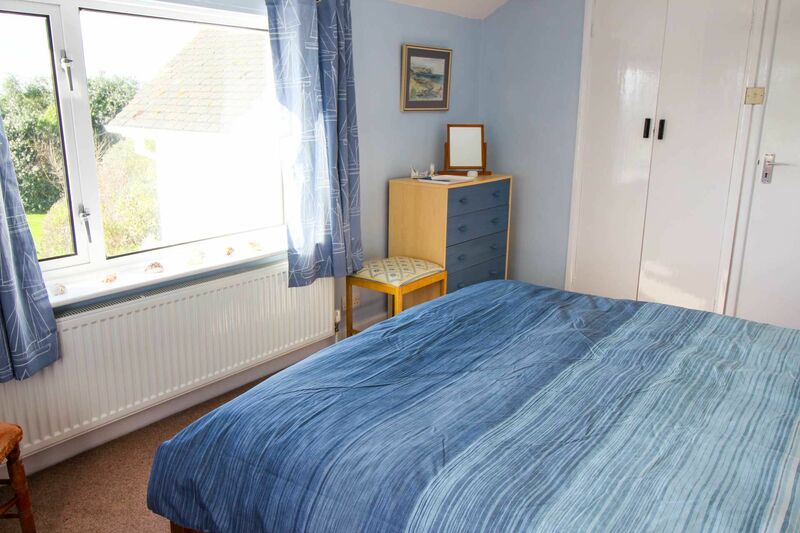 It has every Comfort you need and a beautiful View over Pendower Beach. This was our second visit to Quince Cottage,it is a wonderful cottage in a lovely location.We also had amazing weather ,too hot for walking with our greyhound Pete,so we spent quite a bit of our time in the large garden relaxing and looking at the amazing view.We would highly recommend Quince Cottage and we would definitely book again. Reply from Ian and Caroline Thank you for your lovely review. We are always so pleased when our guests return to Quince Cottage. 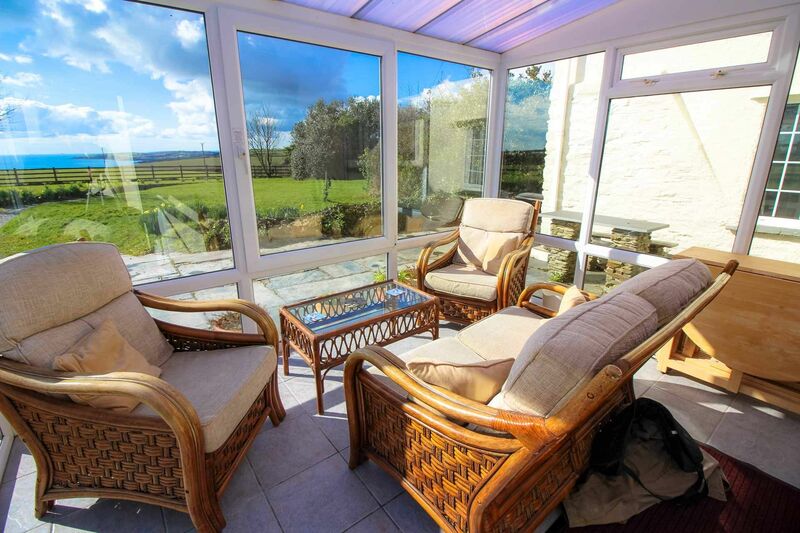 It is lovely to relax in the garden or in the conservatory, appreciating the view. I am delighted that you wish to return for another visit. 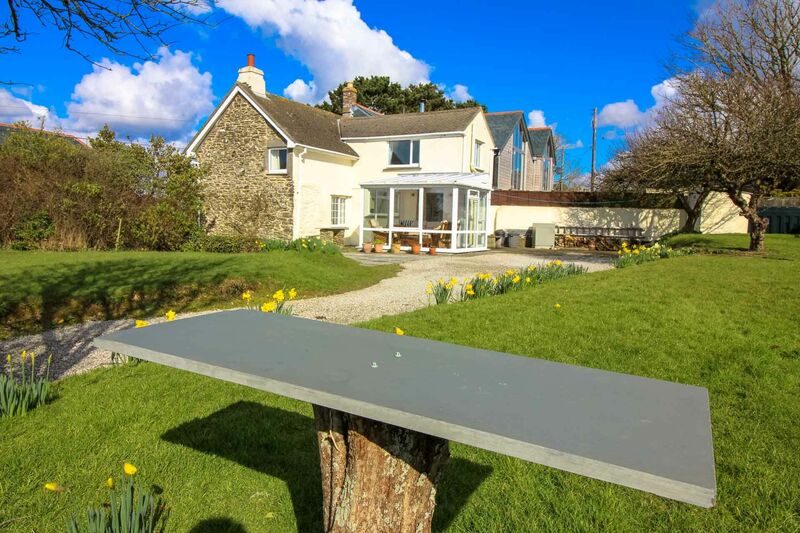 Following feedback from previous guests we have just purchased a picnic table for Quince Cottage, so I am sure that you will enjoy this in the future. Totally loved our stay at quince cottage. 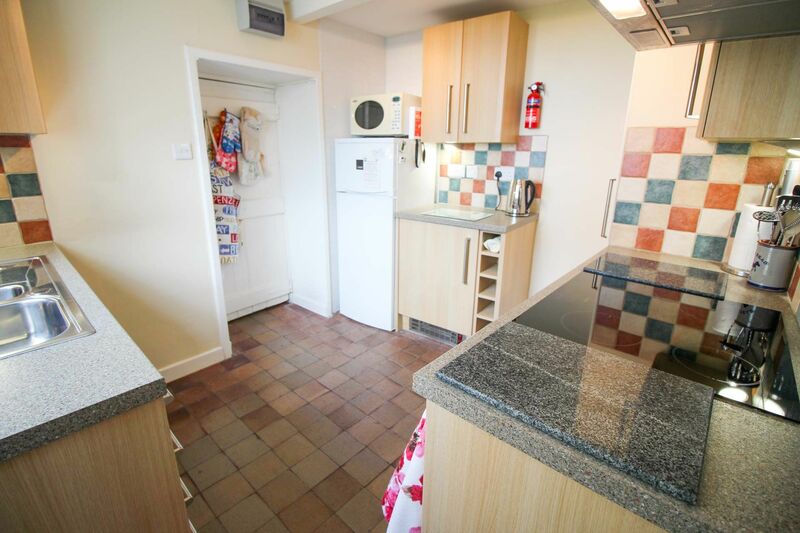 It's not just a holiday home, it feels like a real home, so well maintained and everything you could ever wish for. Quality kitchen appliances, bedding was excellent quality, just perfection throughout. Very comfortable and beautiful surroundings with magnificent views. Great great, great. Reply from Ian and Caroline Thank you for your lovely review. 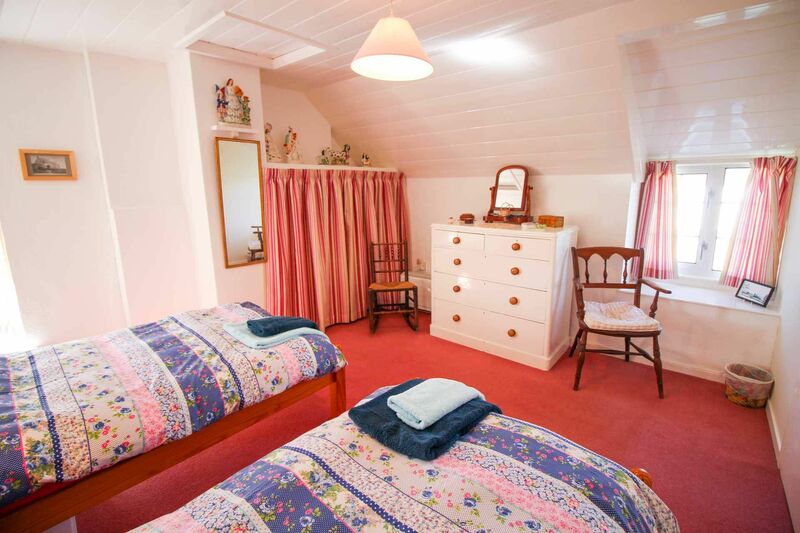 Quince Cottage has been a home to our family for over sixty years and we are always so pleased when our guests appreciate Quince as much as we do. Over the years we have improved Quince Cottage as much as we can - as well as investing our time and effort into keeping it looking good. It is so rewarding to hear that our guests appreciate all that we do! Our second holiday at quince cottage. Lovely location, with sea views. Secure garden for our dogs. Fabulous area of Roseland to explore. Booking for next year. We stayed here for a week with our 14 year old daughter. Great location with lots or beaches and places nearby to visit. The cottage is lovely and clean and well equipped with anything you would need...we've never played so many board games! The views from the conservatory are stunning and this is where we spent most of our time. The garden is huge and was great for our 2 dogs. There was even cows in the field next door! The only negatives was the road outside is busy, make sure to keep the gate closed. The downstairs bathroom was a pain but you soon got used to it! It would be nice to have a picnic bench and BBQ outside and a hose to wash the dogs and wetsuits. 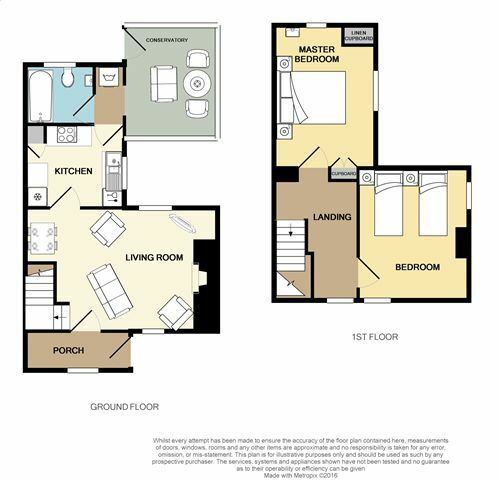 But overall I would recommend this property and its fab location. Reply from Ian and Caroline Thank you for your suggestions. We are glad that you enjoyed your stay at Quince Cottage. What can I say? 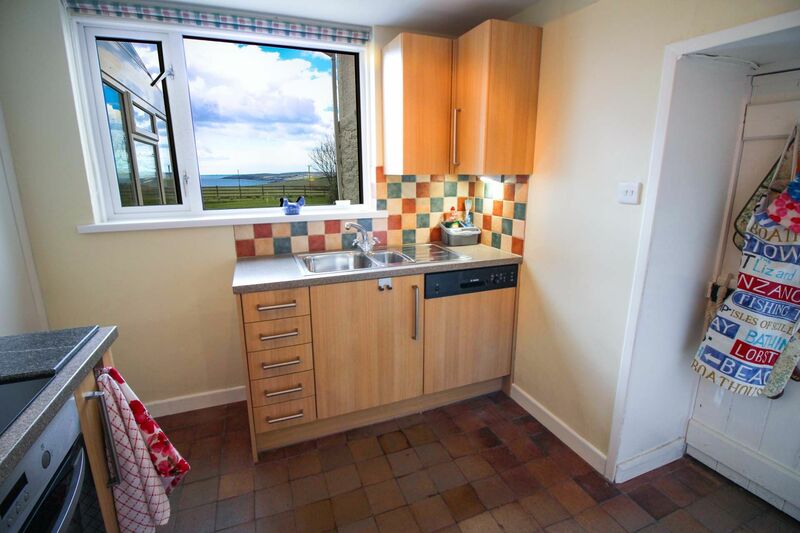 A lovely little cottage furnished beautifully with amazing views! Comfortable beds and absolutely everything you need for your holiday, very well equipped but do remember to take a hair dryer! Great bakery/cafe just down the road and good pub food locally too. Thoroughly enjoyed our week and really hope to return next year. Thank you for sharing your lovely property! Reply from Ian and Caroline We are so pleased that you enjoyed your stay and we are always delighted when guests want to return to Quince Cottage. We always leave a hairdryer in the blue room, in one of the drawers beside the wash hand basin, but it may have been moved. If it is no longer there we will certainly replace it. Hello, we had a good holiday in the Quince cottage. A nice cottage with a good view and nice weather (Sunny). Every day we were looking around in Cornwall and liked it a lot. In the evening and morning it was nice staying in the cottage also sleeping was very good. For us as people from the Netherlands is was nice to live in an englisch old cottage, only my length of 2 meters was a bit too high for hitting the ceiling sometimes. Nevertheless we enjoyed it. Also many thanks for all the information about walking, beaches, gardens etc. and all the little ingredients we could use in the kitchen. We had a very nice week here, many thanks and in future perhaps we come back here. Best Regards, Gerrit and Liesbeth and children. Reply from Ian and Caroline We are so pleased that our Dutch guests enjoyed their stay at Quince Cottage and we hope that they will visit Quince Cottage again. 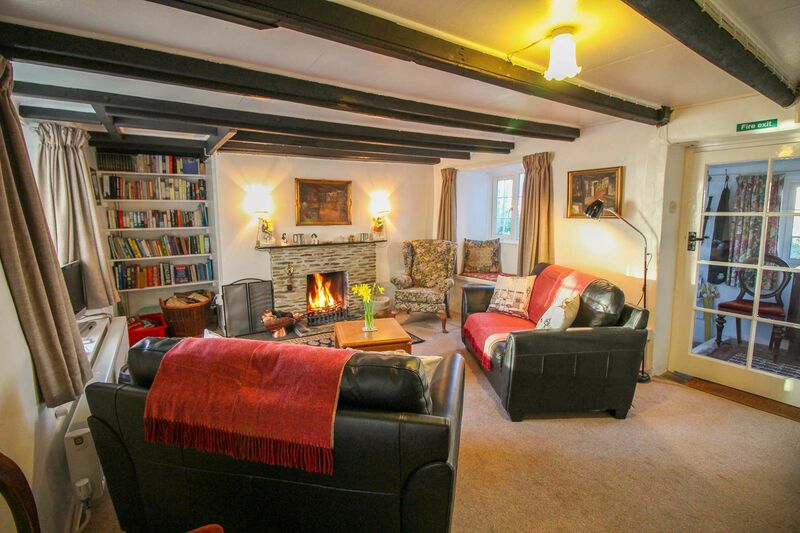 A cosy, well equipped cottage with an open fire which adds to the relaxing holiday experience. 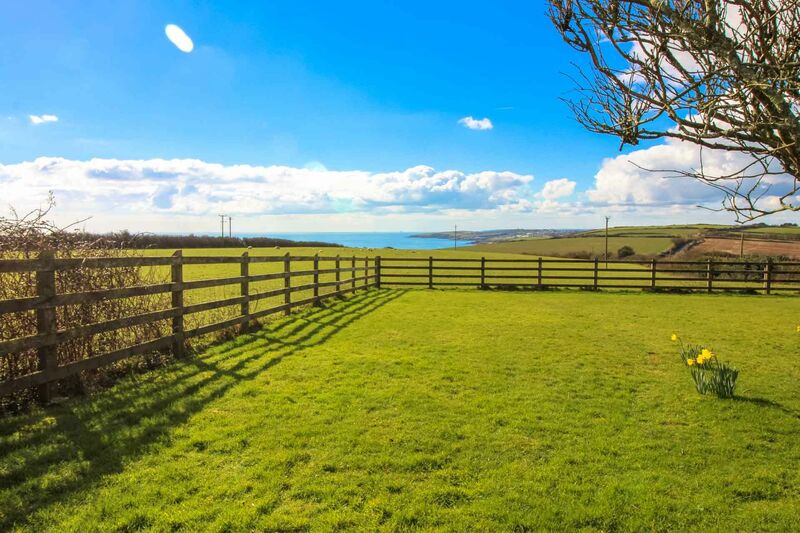 Well placed to explore the coast & the Roseland area & a lovely large dog friendly beach only around 10 to 15 minutes walk away. However, there is a fast road to the front of the cottage & you do need to take extra care when walking it. You can access the coast path & beach via a footpath across the fields, which is close to the cottage. Great views from the cottage & the conservatory is a lovely place to relax & take in the views & ever changing skies. A very relaxing place to escape to. Reply from Ian and Caroline I am so pleased that our guests enjoyed their stay in our cosy cottage. We do advise guests using the footpath to reach the beach, to go down the lane opposite and join the footpath a short way down there, thereby avoiding walking down the road if it is busy. 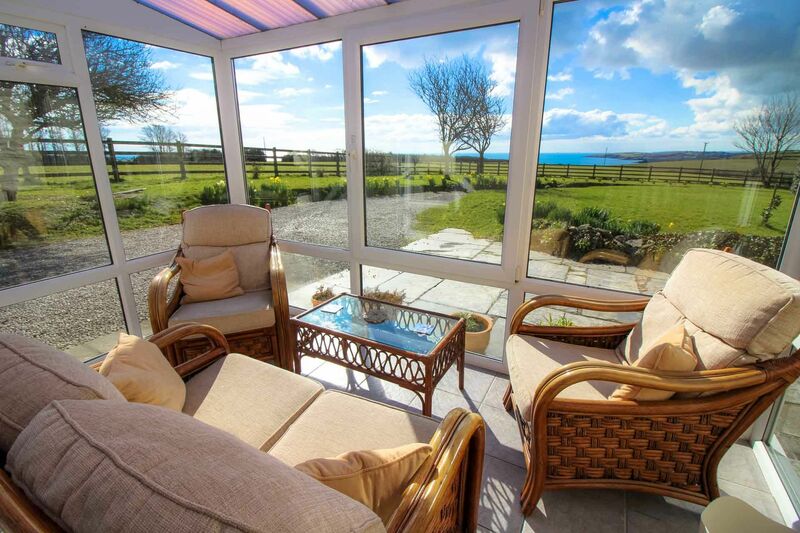 We enjoy relaxing in the conservatory, enjoying the spectacular view of Gerrans Bay from there. We stayed at Quince Cottage for one week in November 2017 and had a very well needed break. 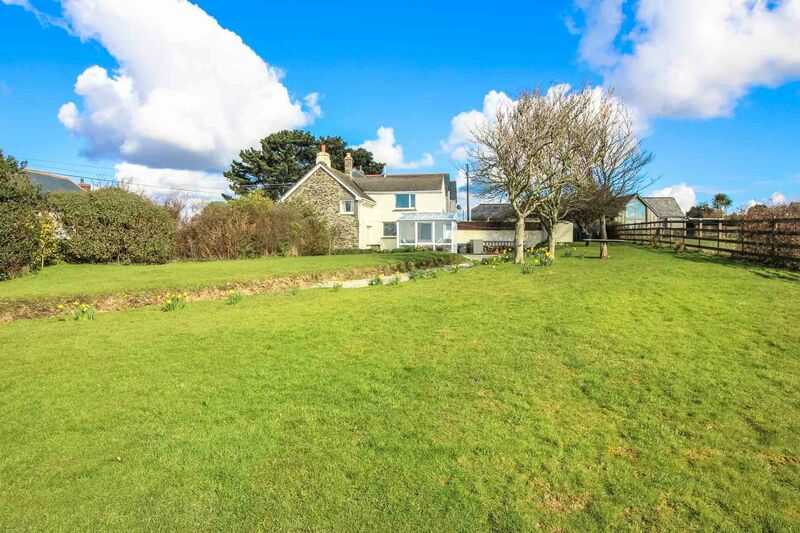 It is a cosy little cottage with beautiful sea views and has everything required for a holiday let. The owners clearly love their second home, adding finishing touches to make their guests comfortable e.g. 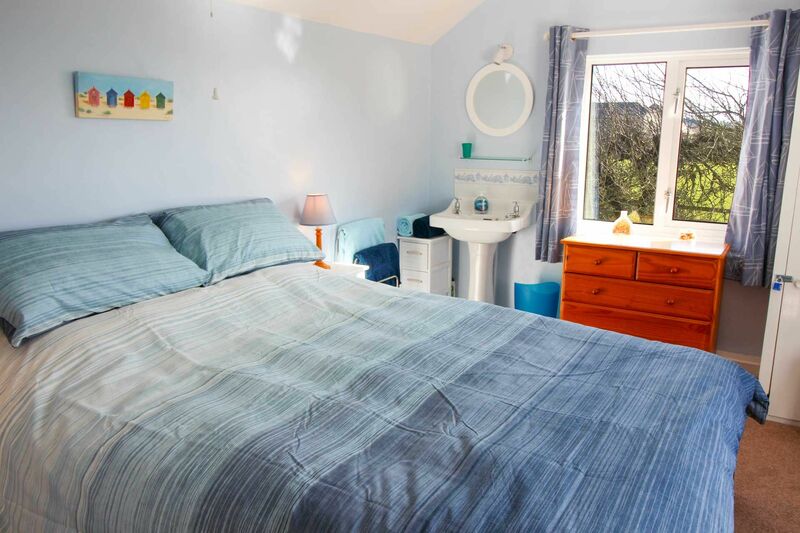 throws for warmth on cooler nights, extra pillows and duvets, modern kitchen well stocked with utensils and crockery etc... The conservatory was lovely and warm during the day when the sun shone and I spent many a happy hour there relaxing with jigsaw puzzles / books. The lounge was cosy and wood was provided for a fire should one be needed. I have one suggestion for the owners and that is to put a rail and curtain over the door into the front porch (foot of stairs) for the windier days, it was quite draughty on a couple of evenings although not cold enough to light the fire. 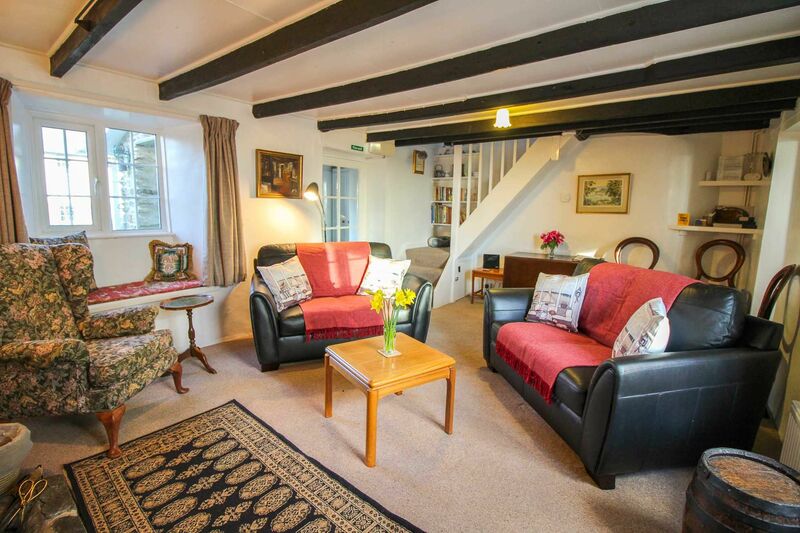 We had a lovely stay and would like to thank the owners for providing all the information required to make Quince Cottage a lovely holiday destination - I enjoyed reading the history of the cottage too, a nice thought to share it with your guests. We recently spent a lovely week at Quince Cottage. Quince Cottage is a comfortable, cozy property that enjoys lovely sea views. 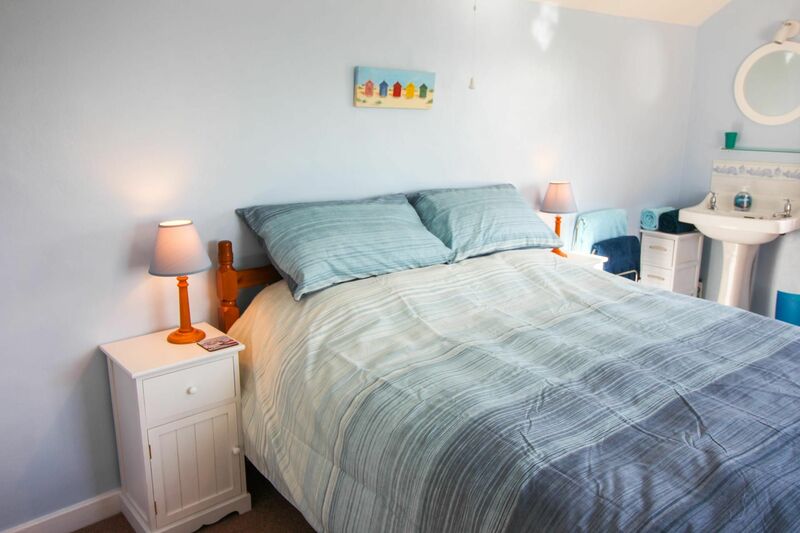 The cottage is well equipped, nicely furnished and has WiFi access. It is ideally placed for walking and exploring the Roseland coast and villages and helpfully accepts dogs. The only slight minus point is that you need to be very careful when exiting the drive onto the main road as visibility is somewhat restricted. A mirror placed on the opposite side of the road might assist. 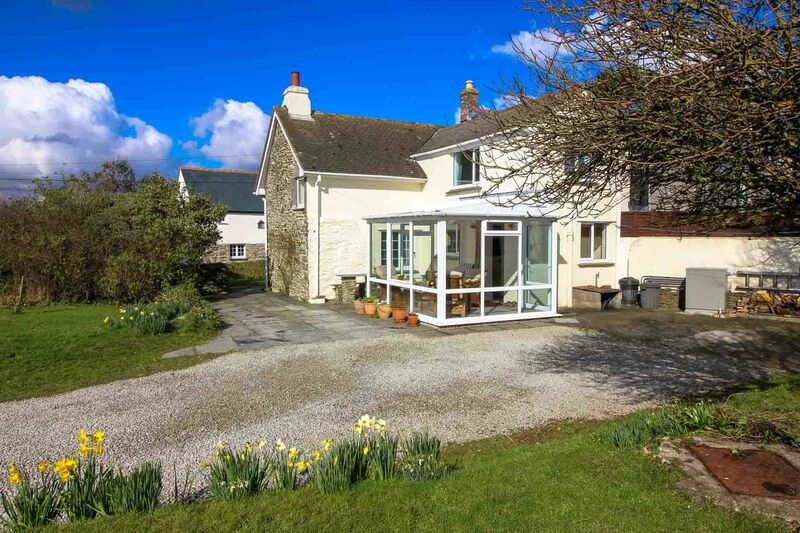 As regular visitors to Cornwall Quince Cottage will certainly be on our short list for a return visit. Quince Cottage is a beautiful cottage with amazing views of the sea.The cottage is one of the best we have stayed in,warm,cosy,clean and very well equipped.It is just a short walk down to the beach and the coast path.We really enjoyed our stay in Quince Cottage,a week was'nt long enough,so we have already booked 2 weeks for next year!!! Reply from Caroline Thank you! 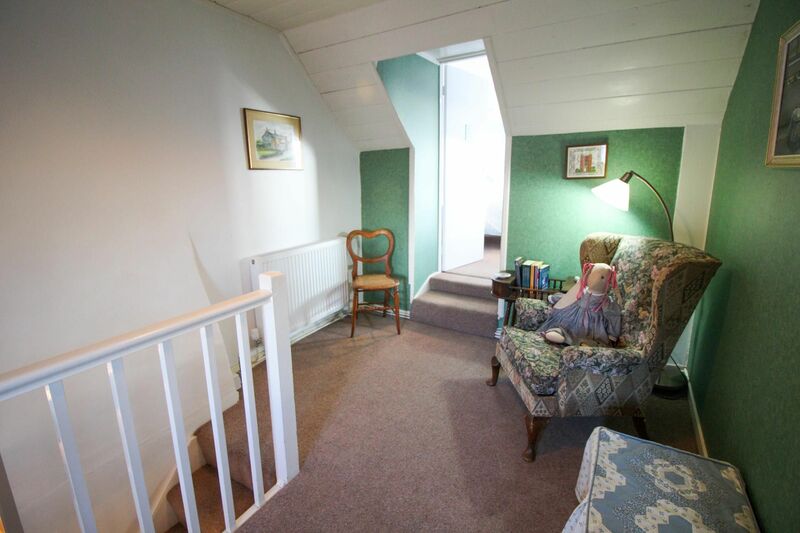 How lovely that you will be staying at Quince Cottage again. Every season in Cornwall has its own charm. We really enjoyed our week at Quince Cottage, especially the absolutely amazing view. 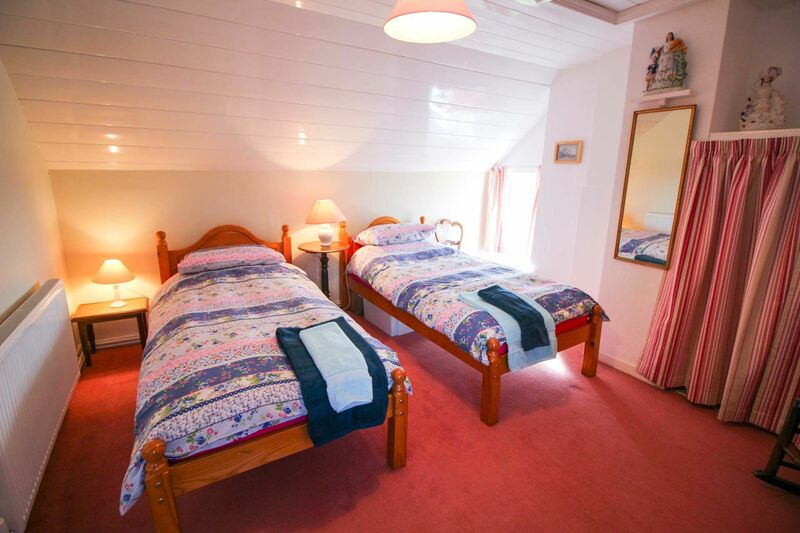 The cottage is well equipped, clean and comfortable. We hope to return in the future. Reply from Ian and Caroline We look forward to welcoming you back! This was our first stay in the Roseland Peninsula and we loved it here. 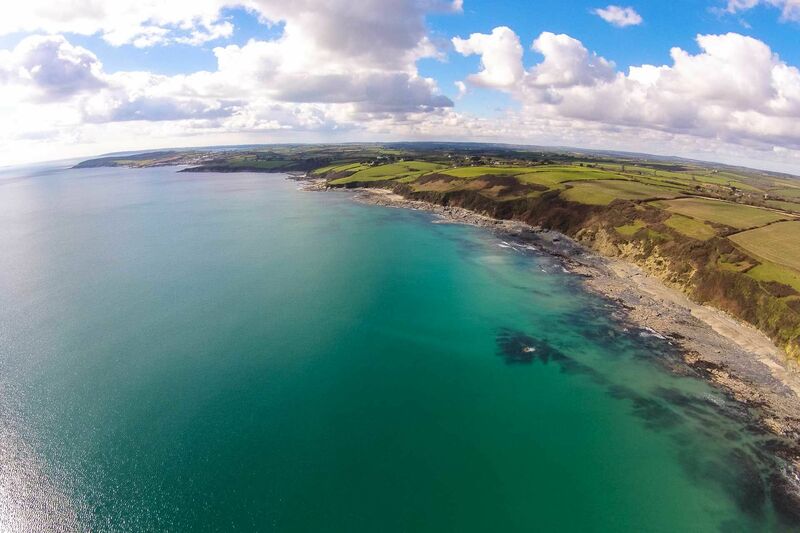 Beautiful countryside, hidden coves and beaches and lovely quaint and pretty villages. The cottage was in a fantastic location just above a beautiful National Trust beach and we made the most of the short trip down to the sea and cafe there. The cottage had a lovely modern kitchen and bathroom, quaint but comfortable living room and pretty bedrooms. We really enjoyed our stay and would love to visit again. We so enjoyed our week at Quince Cottage in Cornwall! The cottage is in a great location and has a fantastic view. 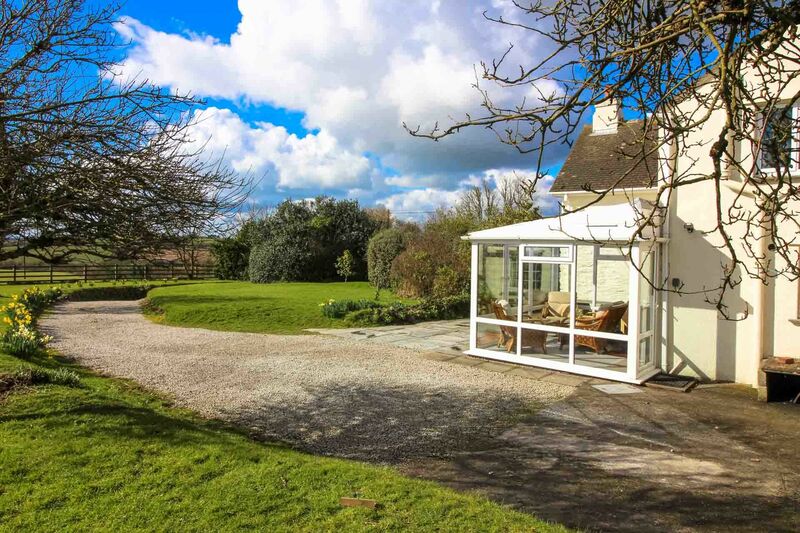 The peaceful setting was just what we needed and we were able to travel all around the Cornwall Peninsula for hiking and sightseeing, with a wonderful home base to return to at the end of the day. The cottage had everything we needed and we definitely recommend it to others! Reply from Ian and Caroline Quince Cottage is very much our second family home so we like to make sure that it is comfortable for when we stay there. We are always delighted when we hear that our guests enjoy Quince Cottage as much as we do, so thank you for telling us. We had a very relaxing holiday for 3 days but the weather rather spoilt the last 3 days because of torrential rain. Going to this cottage we anticipated a nice view as per website pictures. The photos do the actual view no justice. Both from the conservatory and the master bedroom the view is magnificent. We were there in changing weather conditions and the view changed every minute. Also at night it is great. Ships lying in the bay, the lights of Portscatho in the distanse; a fairlytale landscape. The only down side we could find was the fact that the road next to the house is fairly busy if that is something that concerns you. Our stay at quince cottage was perfect. The cottage had lovely views and just 10 minutes from nearest beach. Reply from Ian and Caroline The view from Quince is always a treat and the cottage is a comfortable place to relax. Everyone enjoys sitting in the conservatory at any time of year where the view can be enjoyed to the full. We are always so pleased that guests enjoy staying at Quince Cottage. 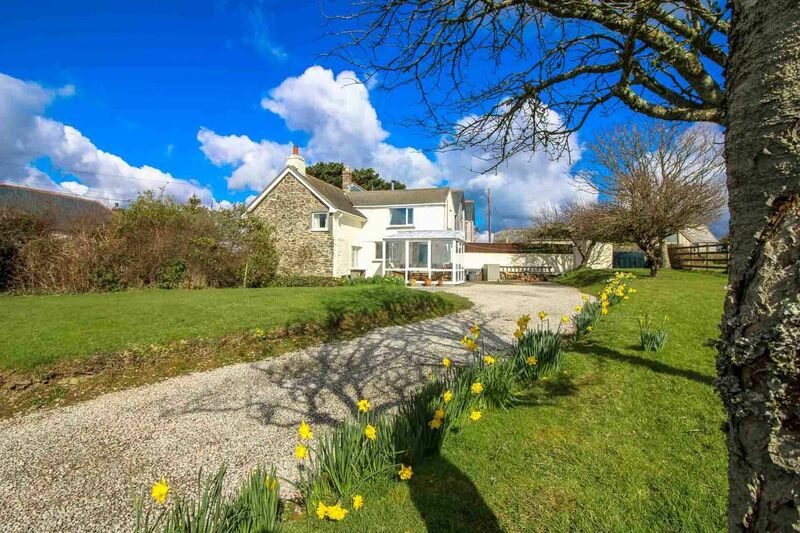 Quince Cottage provided a home from home in the beautiful Roseland Peninsula, a great place to stay in a lovely setting. 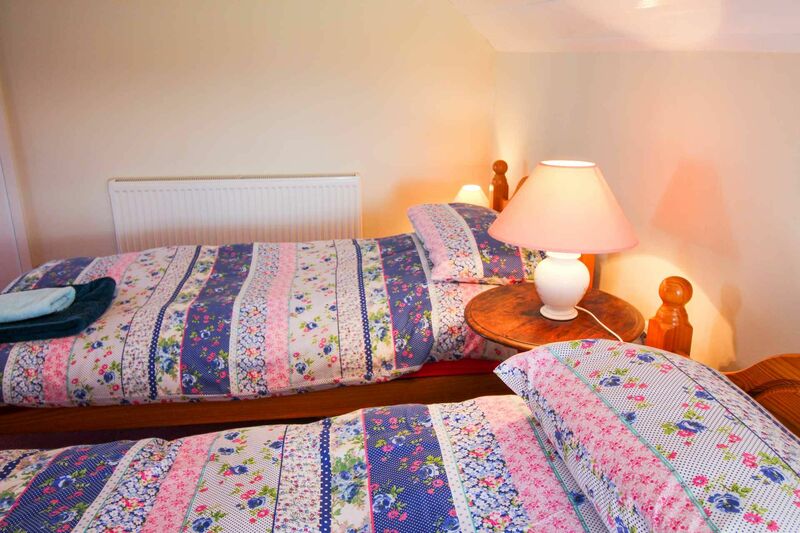 An incredibly well-equipped cottage in a great location and with quality furnishings. You couldn't want for more. Reply from Ian and Caroline We love Quince Cottage and we are so pleased to share it with our guests, especially those who appreciate our efforts to make it feel comfy and homely. We had a perfect stay in this charming cottage, full of character and history. 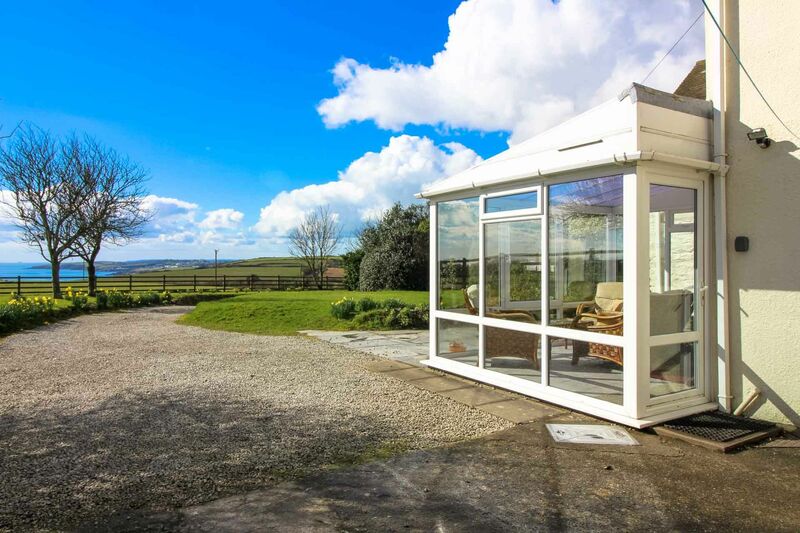 Splendidly located in a beautiful and very quiet part of Cornwall, with a gorgeous view over the sea! Reply from Ian and Caroline We are so pleased that you enjoyed your stay! Our stay at Quince Cottage was lovely. My 2 girls especially enjoyed some of the games that were there and they loved their pink bedroom and slept really well as the beds were comfy. 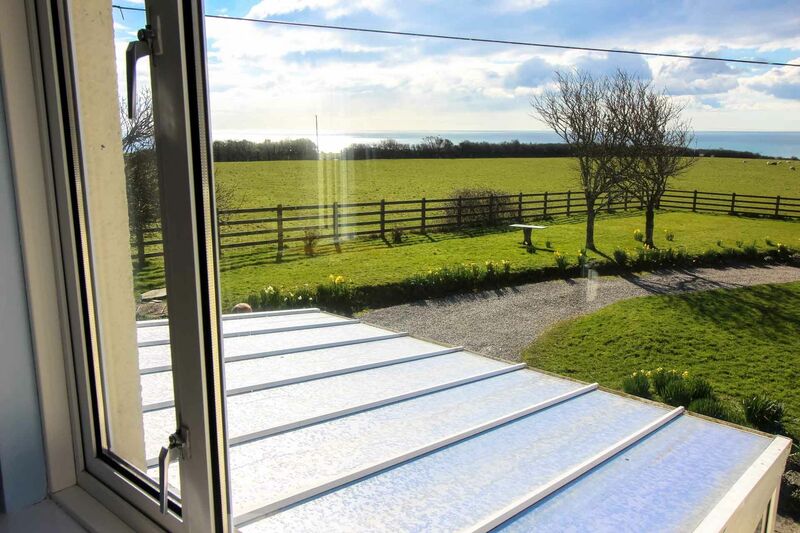 The views are beautiful and you can see the sea from nearly every window. We would recommend staying here as long as you do not mind driving everywhere as the road is busy (although the cottage is set back so you do not see any passing traffic) with no pavement so dangerous to walk along especially with children. 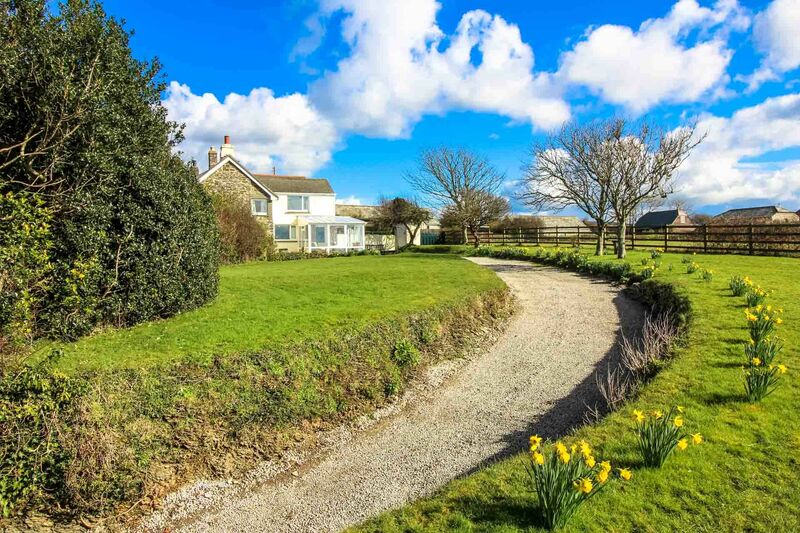 Saying that the cottage is based in a central place with a lovely beach below the surrounding fields. 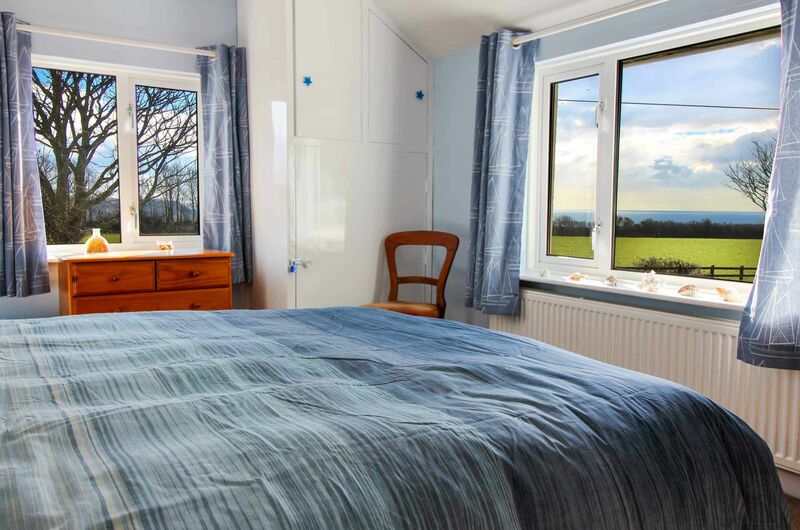 This is our second stay at Quince Cottage and we love staying there, although not sophisticated it is so comfortable and relaxing and of course the views are to die for. It is obviously a much loved family home, which the owners share in their history of ownership, we shall certainly return although it does seem to be booked for many months ahead. We spent the week in the conservatory! It was just lovely to sit and watch the sea. Sheep were in the field adjoining the cottage and we woke one morning to the sight of a baby lamb. The footpath down to the beach was 'entertaining' with two small dogs to say the least, but we all managed it. 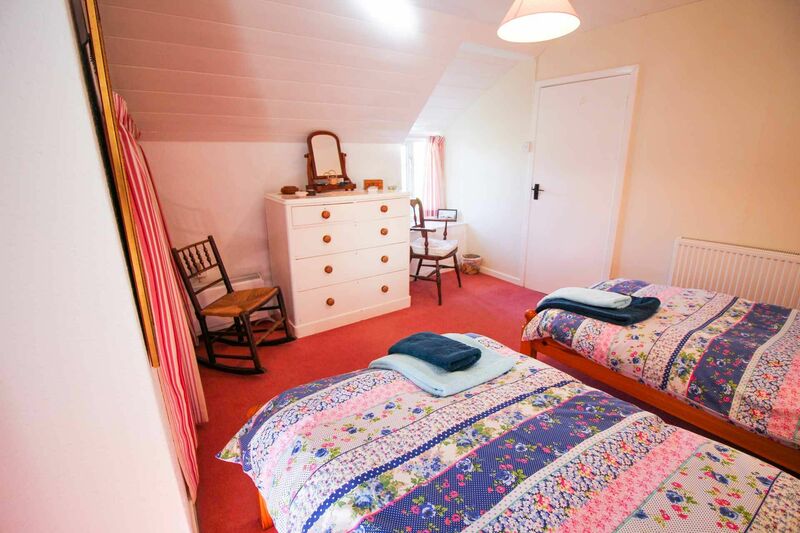 The cottage was delightful, comfortable, well equipped and in a quiet location. We would certainly consider another visit. Reply from Caroline Thank you! Ian and I are glad that you enjoyed your time at Quince Cottage. Spring time in Cornwall - particularly when there are lambs in the field - is always a joy. We had a lovely week in this ideal little cottage. Very well -equipped, clean and comfortable with easy access to the local beach. 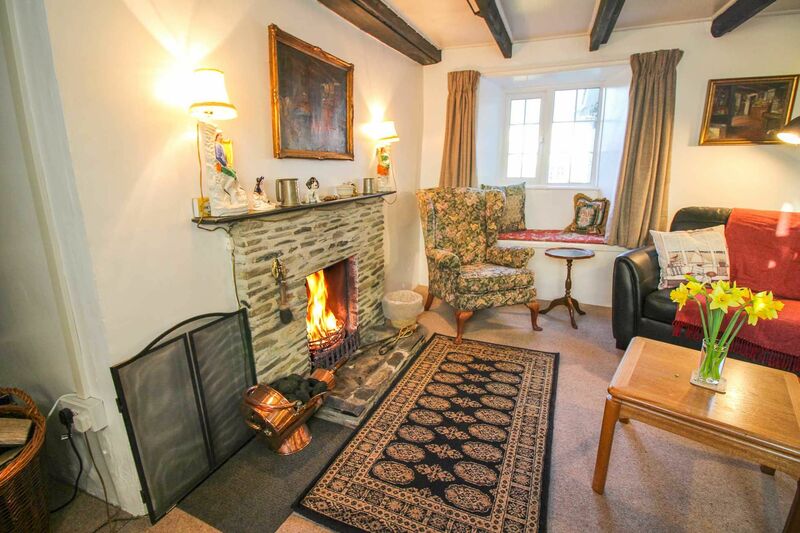 Lots of local maps and information provided, good internet access and an open fire to make it even more cosy. Reply from Caroline Austin We love staying at Quince Cottage in winter - the cottage is always warm and cosy. We are delighted when our guests enjoy it too. Quince cottage is in an amazing setting&is very cosy,there is everything there to cater for your needs and we had a lovely weeks holiday. One tip for visitors in October,keep all the windows closed when you go out otherwise you will come back to a horror story,there is a fly problem&you will find them clustered all over the windows....a bit scary if you don't like flies,particularly in the bedroom. 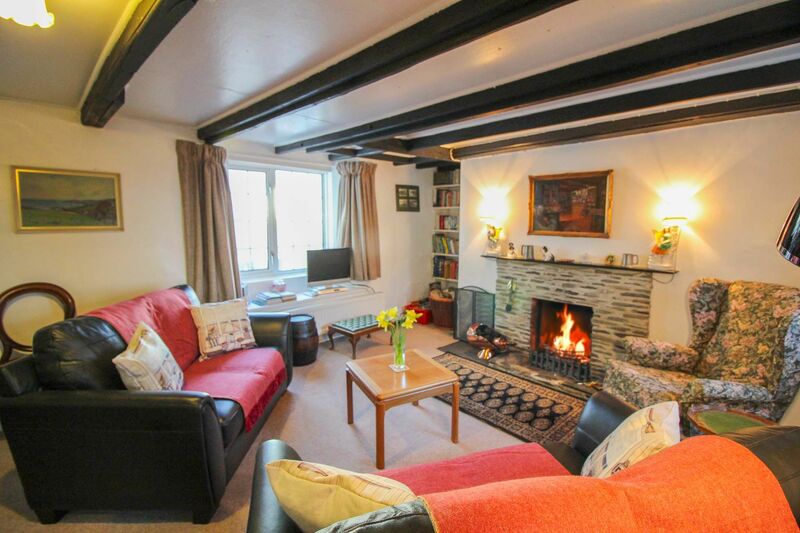 Other than that Quince cottage is definitely a hidden gem&clearly a much loved family home. Reply from Caroline Ian and I are so pleased that our guests enjoyed their stay at Quince Cottage. Reply from Caroline We are always delighted when our guests enjoy Quince Cottage as much as we do! Quince Cottage is very much home to us, but one that we are pleased to share with others. we had a lovely week with the best of the weather the cottage was great with everything in it we needed would of liked a garden table and chairs but it didn't alter our stay at the cottage which was perfect will visit again. Very nice place to stay, very cosy and a very good location in the area. Very good for walking and also a quiet and relaxing place. The house is fully equiped and you've got a home feeling. We're definitley coming back soon. Reply from Caroline Austin We are delighted that our guests enjoyed Quince Cottage as much as we do! Very comfortable cottage, great location, some patio furniture, eg table and chairs would have been welcome as great views from the cottage. Would book again. Reply from Caroline Austin I am so pleased that our guests found Quince Cottage comfortable and that they were pleased with its location. 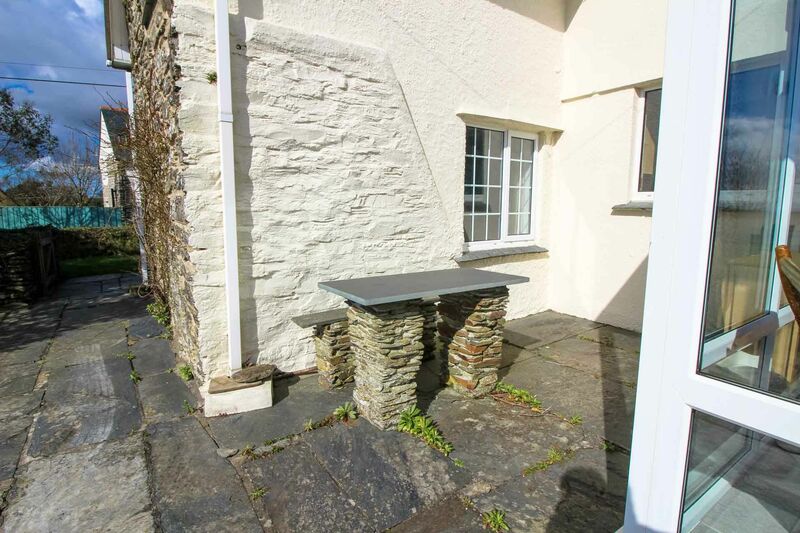 There are the options of a slate table and bench on the terrace (cushions in the front porch) and another slate table on the lawn. We also provide 4 sun lounger chairs. An excellent little cottage with a remarkable view of the craggy coastline. A couple of small issues meant a quick email. A confusion in the instructions meant that previous rubbish was still outside the door. And the central heating gave up. But the heating was sorted quickly and I was assured the unfortunate rubbish problem wouldn't happen again. The cottage was warm and comfortable, and everything needed was supplied. Altogether, a wonderful place to stay, within easy reach of some great coastlines. Reply from Caroline Austin We are delighted that our guests enjoyed Quince Cottage. We were pleased that Kai (our excellent plumber) was able to sort out the heating as soon as we contacted him. Extra instructions about the rubbish should ensure that all runs smoothly in future. We have had a fantastic stay in your beautiful cottage, thank you. Particularly love the conservatory with fabulous view! 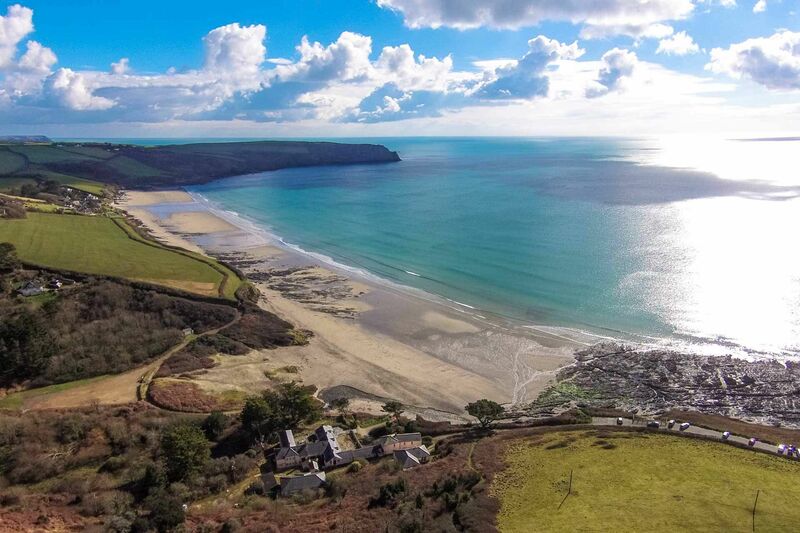 Quince Cottage is only a short walk from Pendower Beach which, at low tide, extends a mile east and includes Carne Beach with the famous Nare Hotel sitting on the cliff top. 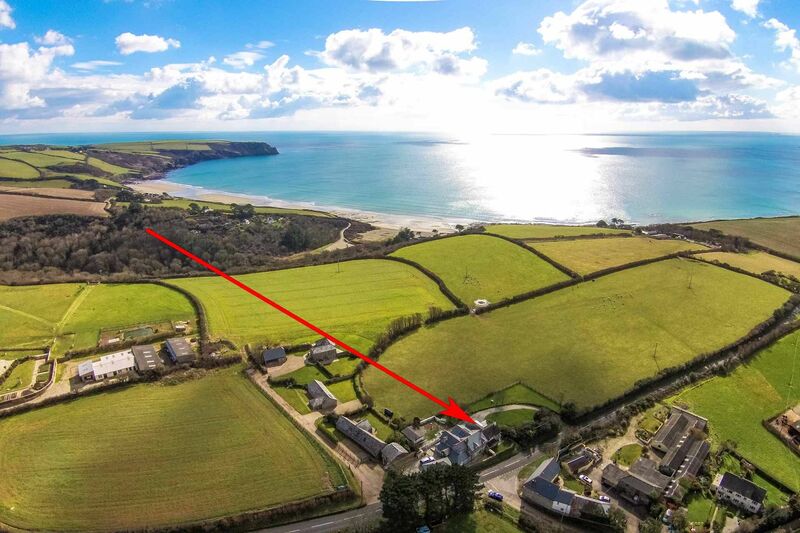 This great property is easily accessible by road and is on a bank set back from the A3078 Tregony to St Mawes road which gives excellent access to the rest of the Roseland. 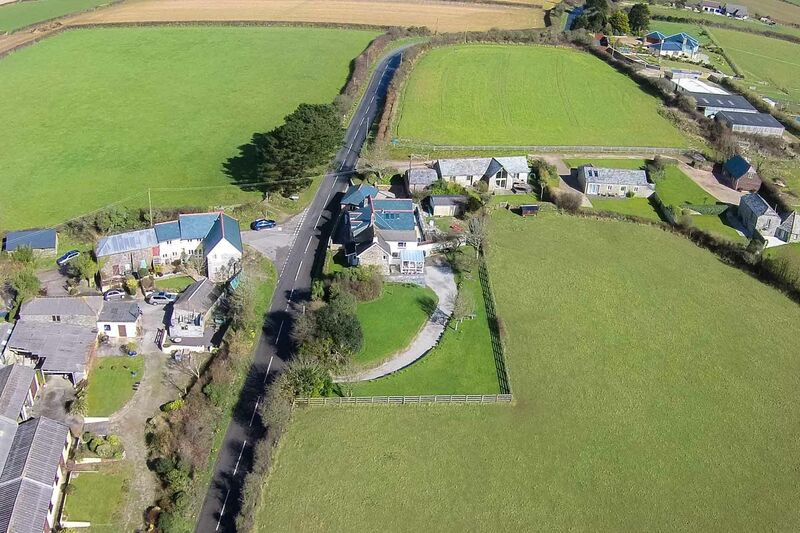 It is also a 10 minute walk from the beach and is a short drive away from Veryan with its historic roundhouses and the quaint fishing village of Portloe. To the west is the traditional fishing village of Portscatho although now this caters mainly for the tourist industry and is an artist's retreat with plenty of little galleries. 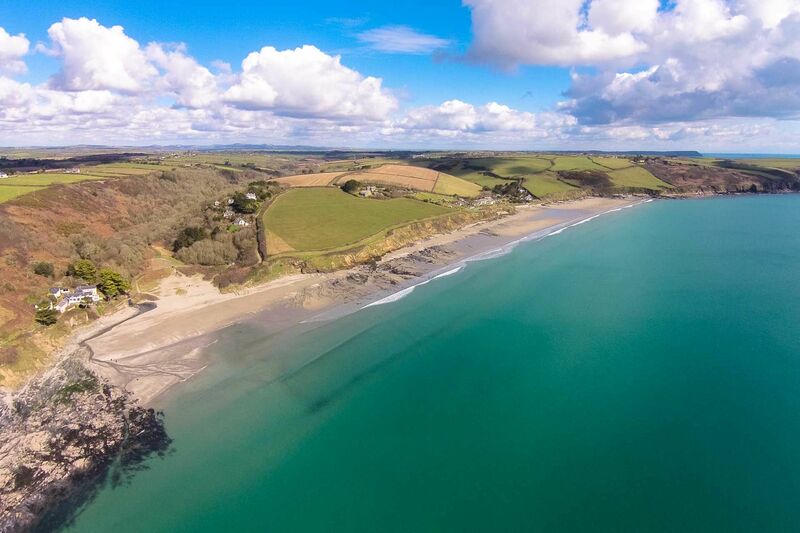 The Roseland peninsula is famous for some of the finest stretches of coastline in the country with sandy beaches, secluded bays and majestic promontories - all of which can be viewed from, or walked to, from Quince Cottage. First Floor: The stairs open on to a large landing area that has doors leading to the two bedrooms; Master bedroom has built in wardrobes, a 5' double bed, wash hand basin and views across Gerrans Bay. Bedroom 2 has twin beds and windows to the front and rear of the property. Exterior: There is an extensive garden and parking for 2 cars. There is an oil fired combi central heating system, there are also additional electric fan / convection heaters and an open fire in the lounge. 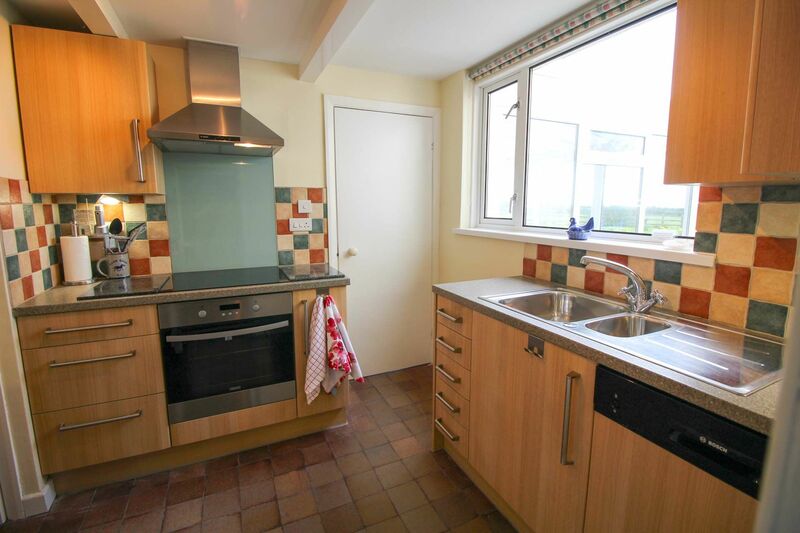 The kitchen has a range of cupboards & work tops. 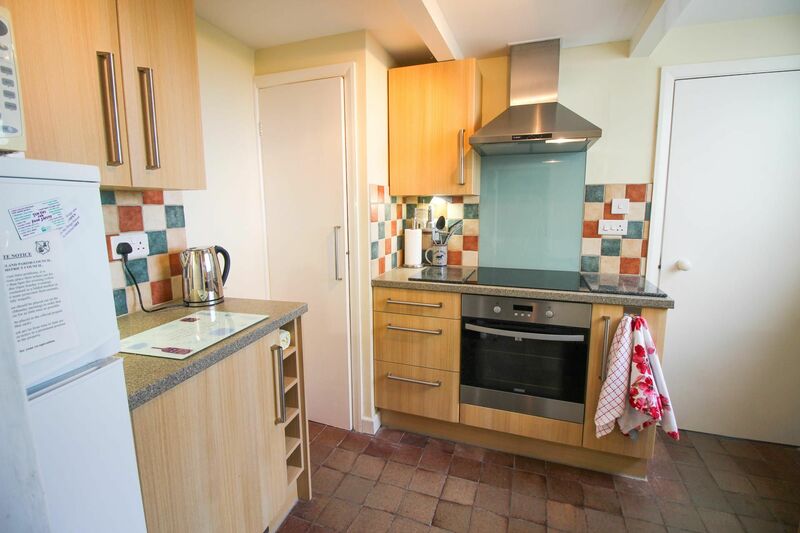 There is an electric oven and induction hob, a microwave, toaster, kettle, Kenwood coffee maker and separate fridge & freezer. There is a dishwasher and a washing machine. (Drying line in the garden) The sitting room has a digital TV & DVD player. There is an iron & ironing board. There is unlimited WiFi. 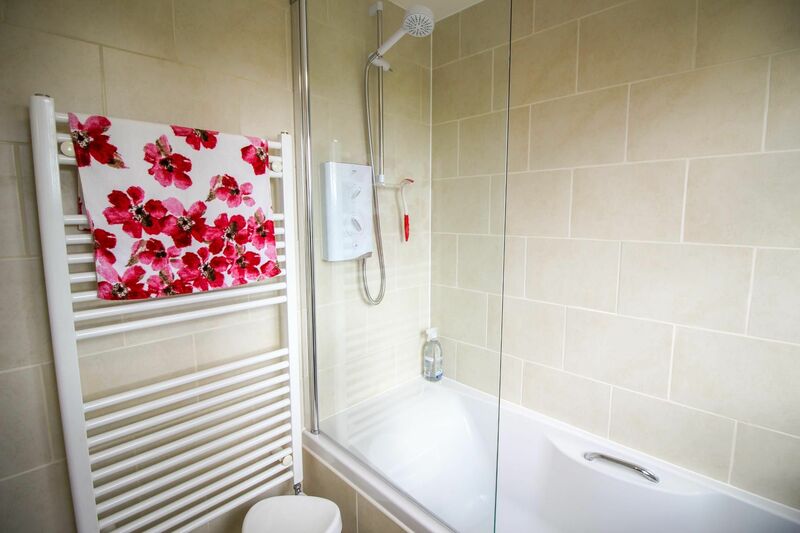 Electricity, heating, bed linen and towels are included but you will need to provide your own beach towels. There is parking available for 2 cars on the drive. Regrettably there is no smoking. 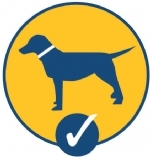 A maximum of 2 well behaved dogs may stay in the cottage at a small additional price of £25.00 per dog per week. The delightful and charming village of Veryan on the Roseland Peninsula is most famous for its nineteenth century thatched Round Houses. There are five in all, two pairs of which stand at each end of the village and another in the centre. They were originally built by a missionary named Reverend Jeremiah Trist for his daughters. In a round house there are no corners where the devil can hide. A crucifix on the top of each one adds extra protection! Portloe is considered by many to be the jewel in the crown of the Roseland peninsula and one of the prettiest villages in Cornwall. Its steep sided valleys has meant that it has managed to escape development over the years and many buildings differ little from when they were built. Sir John Betjeman said of Portloe "One of the least spoiled and most impressive of Cornish fishing villages". Nearby is the lovingly restored Melinsey Mill where you can relax in a charming valley with a delicious Cornish cream tea.